"And Thats The Fishing Line, 'Cause Shark Boy Said So"
With fewer eyes on the product, getting original gimmicks over with the crowd has become harder than it ever was. On the other hand, blatantly ripping gimmicks off established names is frowned upon by most fans. Just look up Trash Bag Wrestlers on Facebook and you’ll find a plethora of miserable attempts at emulating the stars, including but not limited to a basement-dwelling Jeff Hardy and a white Papa Shango. Parodies, on the other hand, are an exception. While parody gimmicks are usually restricted to comedic relief and one-off appearances, some exceed expectations and yield great success for the wrestlers behind them. Sometimes, a successful parody gimmick is what cements a wrestler's name in history. In TNA, wrestlers are typically given creative freedom over what their gimmicks involve. For Dean Roll (not Taylor Lautner), the 'Shark Boy' gimmick wasn't getting over despite appearing on Shark Week, 20/20, and MTV True Life. Thankfully , TNA creative put him into a storyline coma, woke him up a few weeks later, and threw SCSA right on top of his already ridiculous gimmick. Calling for the refs to throw him clam juice after his matches and using "The Chummer" to finish off his opponents, this parody was shameless, hilarious, and above all else over with the crowd. Sure, you can throw Stone Cold onto just about anything and you’ll get a reaction. 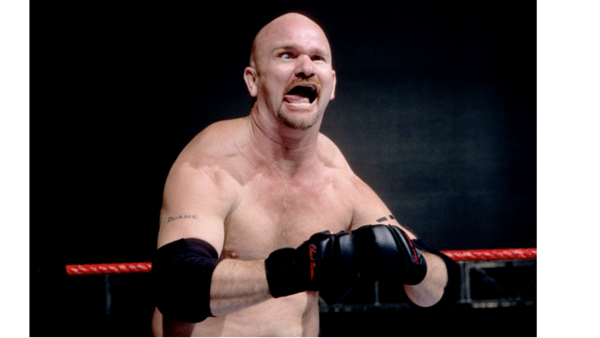 However, the amalgamation of a shark and a Texas rattlesnake made for unique and hilarious spin on a beloved icon.